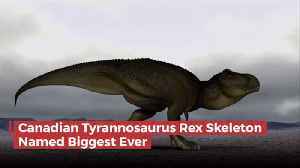 A 39ft Tyrannosaurus rex is unveiled on the only UK stop of its European tour. 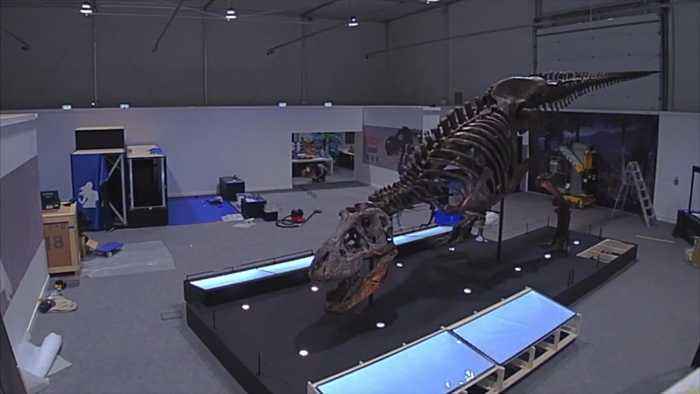 Experts spent three days piecing together the 300 bones that make up the skeleton, which will be on display at Kelvin Hall in Glasgow from April 17. 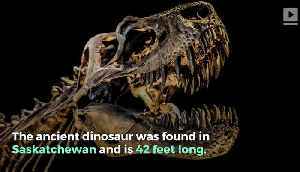 Biggest Tyrannosaurus Rex Skeleton Discovered in Canada The skeleton, who has been named "Scotty," is 42 feet long. 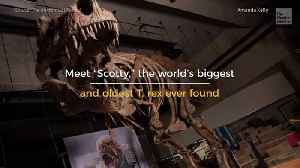 Scotty was originally found in the Canadian region of Saskatchewan back in 1991. When..